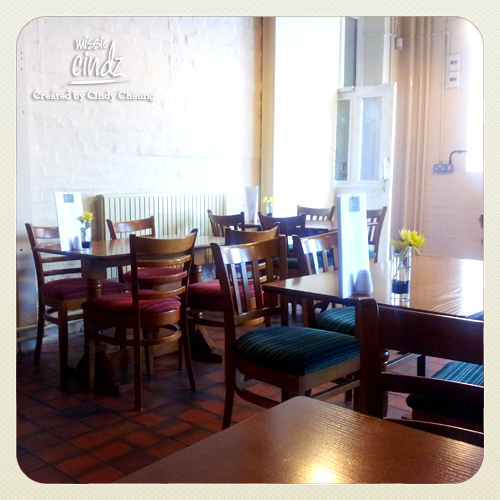 Little Mesters Cafe & Bistro is situated within Kelham Island Museum. 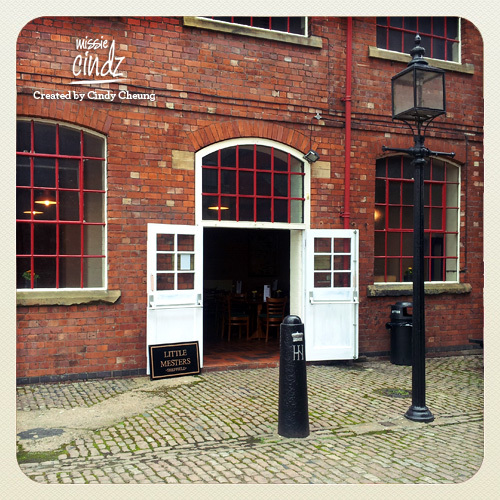 The cafe at Kelham Island Museum re-opened on Sunday 10 June as Little Mesters (twitter: @Littlemesters1), so I decided to call in for breakfast to check out the interior and sample the food. My first impression upon entering the cafe was that it was empty. Not surprising I suppose given that it’s a little out of the way and this was its first day of business, but I expected to see a banner of some kind on Alma Street pointing people towards it. The interior has been spruced up and the walls suitably adorned with knives and bolts arranged into neat patterns. As you’d expect from an old industrial building it has pillars, high ceilings and exposed brickwork, but the room was fairly dark and could have done with some brighter lighting. Another little gripe was the noise from the kitchen which was separated from the dining area by an open doorway. I don’t mind a bit of atmospheric background noise but loud discussions about our order, crinkling foil and a crackly radio echoed through the room – I’m not convinced that this would make for a very relaxing experience on one of the planned bistro evenings. Moving on to the food, I was pleased to see that breakfast is served all day on Saturdays and Sundays – far too many places stop serving around 11am, much too early for a leisurely weekend brunch. The breakfast options included various hot sandwiches, a full English and a weekend special of scrambled eggs and smoked salmon. Ordinarily I’d have chosen a full English, but given that I had Sunday lunch planned for a few hours later I thought I’d better not! I opted instead for scrambled eggs on brown toast and a latte. The coffee arrived promptly with a little wrapped biscotti on the side and was hot, smooth and milky, a really tasty latte just how I like it. 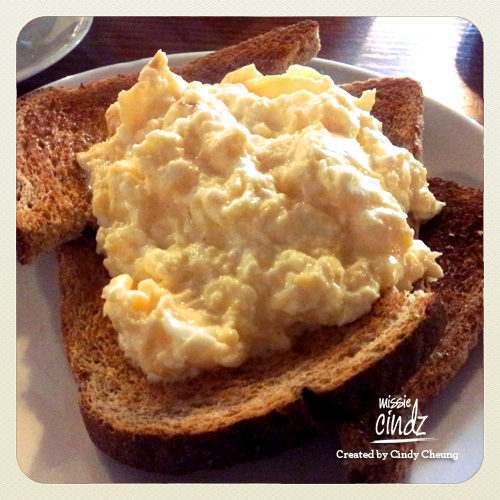 The scrambled eggs came shortly afterwards and consisted of two slices of simple brown toast, buttered and cut into triangles, with a large portion of scrambled eggs in the middle. The eggs were perfect, soft and creamy and just the right amount – if there had been any more I’d have struggled to finish the plate given how rich they were. My flatmate had a sausage and egg butty with a cup of tea – although she was unimpressed by the tea, she really enjoyed the sandwich which consisted of two sliced sausages and a runny fried egg on a white bap. The whole meal cost a total of £10.40, not a bad price, although some of the items on the menu seemed a little steep – for instance some breakfast sandwiches cost around £3.75 and a full English is £6.50 without toast or a drink. If the food continues to be as delicious as it was on Sunday though I’ll be happy to pay for it. Little Mesters also serves a variety of sandwiches, hot paninis, soup and cakes, plus a few hot specials and kids meals. Look out for bistro nights starting at the end of July serving British cuisine – I for one can’t wait to try it! There are a few little teething problems, but nothing that a closed door and a few light bulbs can’t fix. Most importantly the food was good and I’m delighted by the addition of this new café/bistro to the Kelham Island scene. Monday to Friday 8am – 4pm. Saturday and Sunday 9am – 5pm. Friday and Saturday 7pm til midnight.